has caused us to really adjust our seed starting plans in this new year. 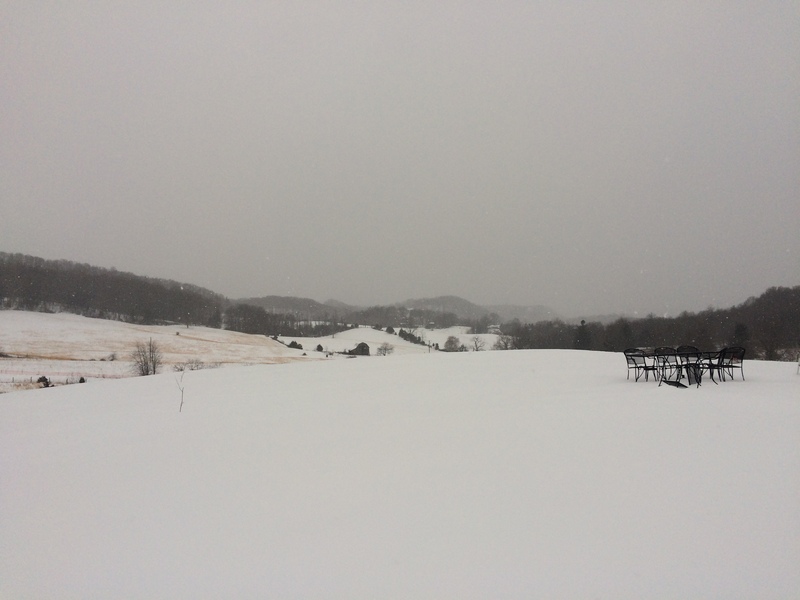 No, not the snow per se, but the general winter weather we’ve seen so far. Wildly strong winds have prohibited us from installing plastic around our outdoor growing area. Subzero arctic temperatures…umm…no way could use an outdoor growing area in these conditions (no heat source installed yet so all would’ve frozen solid). The risk of losing power at any time during these weird winter storms (freezing rain, sleet, snow and strong winds). No power = the loss of water, heat and any means of supporting new seedlings. With all of that uncontrollable nature stuff going on, we have had to improvise. First, seed starting has been delayed two weeks while plan B was initiated. A little cash was invested to slightly winterize a gutted space within the farmhouse. This step was important for living conditions and future seed starting processes…the gutted space houses our water source! So, with a couple of frantic days insulating we managed to get the gutted space from an average of 20 degrees F to 50 just before the really cold days hit! Yay! No frozen water pipes! Lastly, we’ve set up a space in our main living area for germination of seeds. We have heat piped into this room and a little space to work. 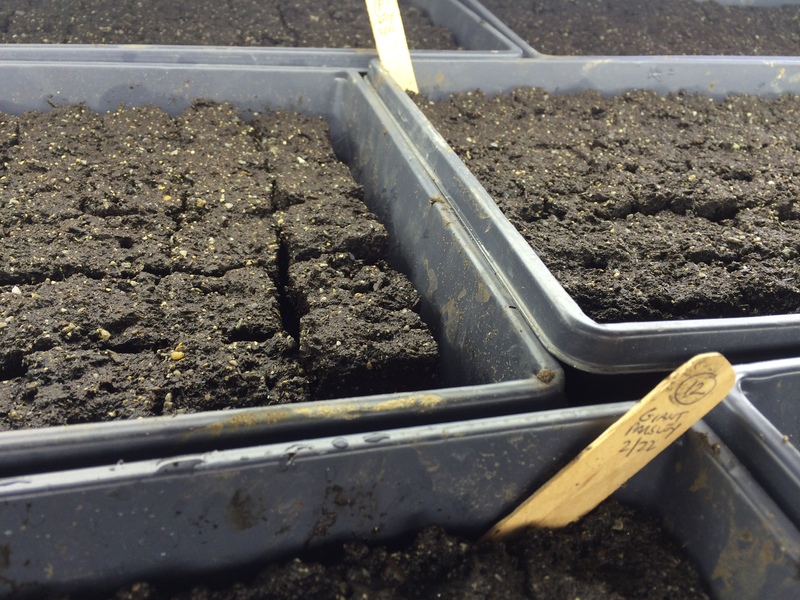 Once seeds germinate, they’ll move into the plan B room and then on outside. continue cranking out the seeding!